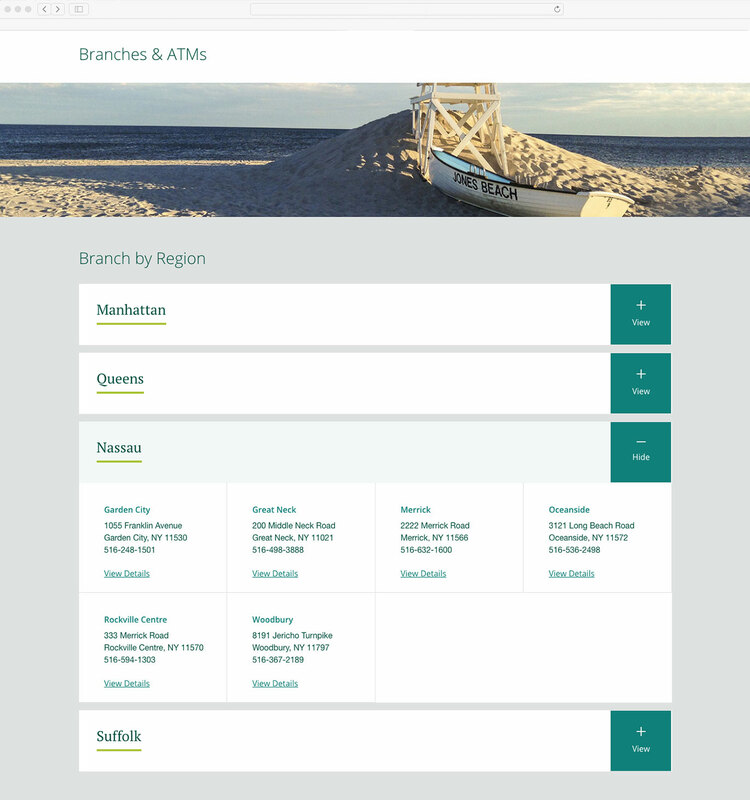 A recognized financial leader on Long Island’s East End, BNB Bank’s expansion westward into the lucrative Nassau county and New York City markets demanded a new brand—and a new website that would enable the community bank to attract, engage and convert business and consumer prospects from Montauk to Manhattan. The new site features localized home page imagery based on a visitor’s IP address: the beaches of Eastern Long Island and Nassau county, a bustling Queens neighborhood or the Manhattan skyline. Once a prospect visits the site, it tracks where they’ve been and serves up the most relevant landing page—personal or business banking—complete with the appropriate cross-sell messaging to further move them through the conversion process. But a user doesn’t have to navigate throughout the site to find what they’re looking for: A sticky search tool makes it simple. 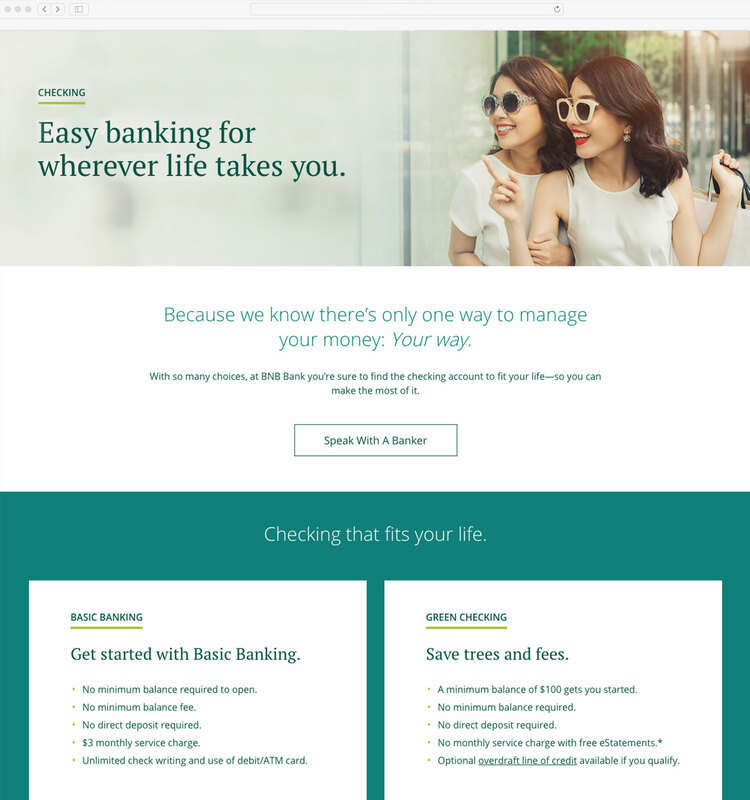 For this relationship-focused community bank, prominent Get Started forms start the conversation while their integrated marketing automation tool and customer relationship management (CRM) system further helps turn prospects into customers.